Oh Eurovision, my favourite TV event of the year! 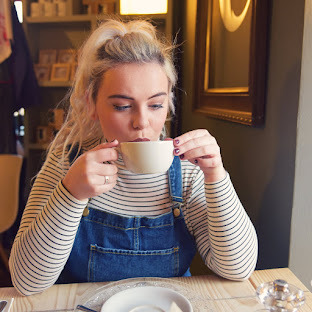 I've loved Eurovision ever since I was little, I've watched it every year and always bought into the cheesiness of it! 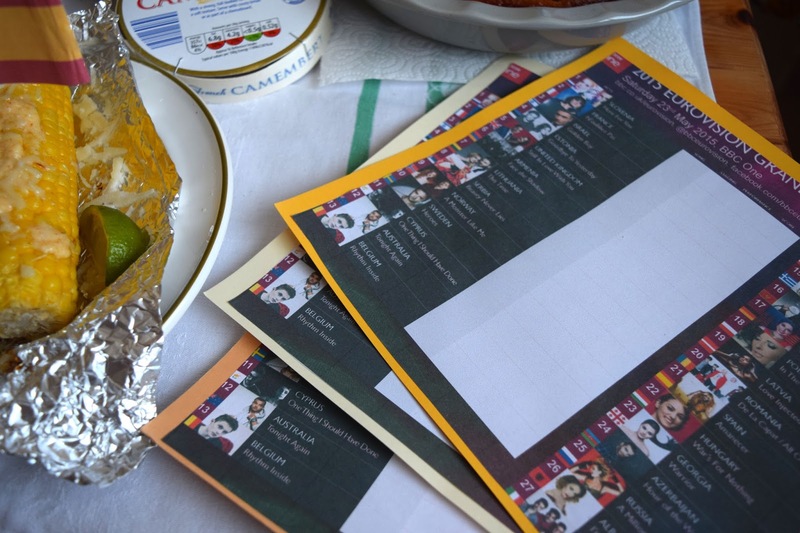 For the past couple of years I've been making Eurovision into an event, I make a European themed buffet and scorecard etc. 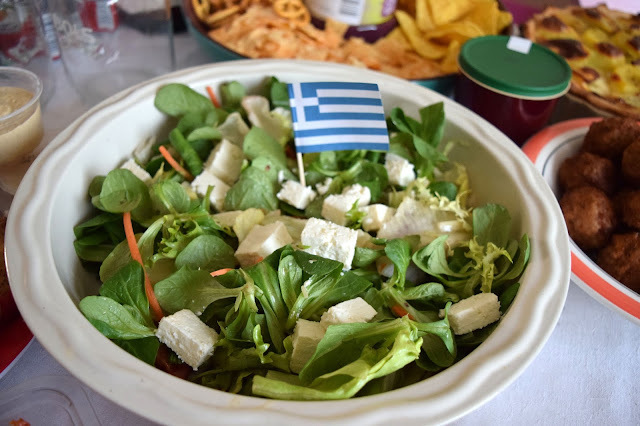 Here's last years post on Throwing a Eurovision Party. 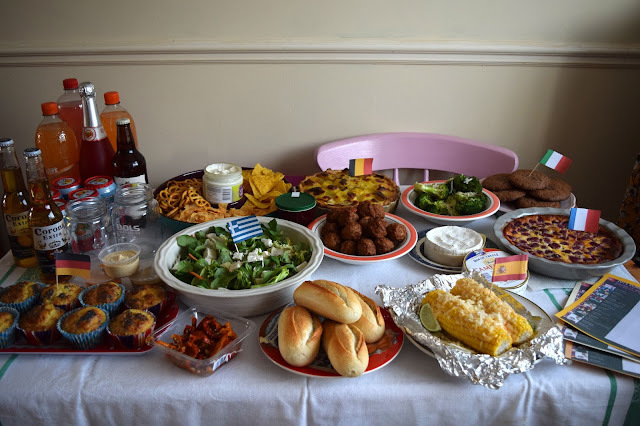 So I thought I'd share some of my buffet photos from last year to give you some inspiration to throw your own Eurovision get together! 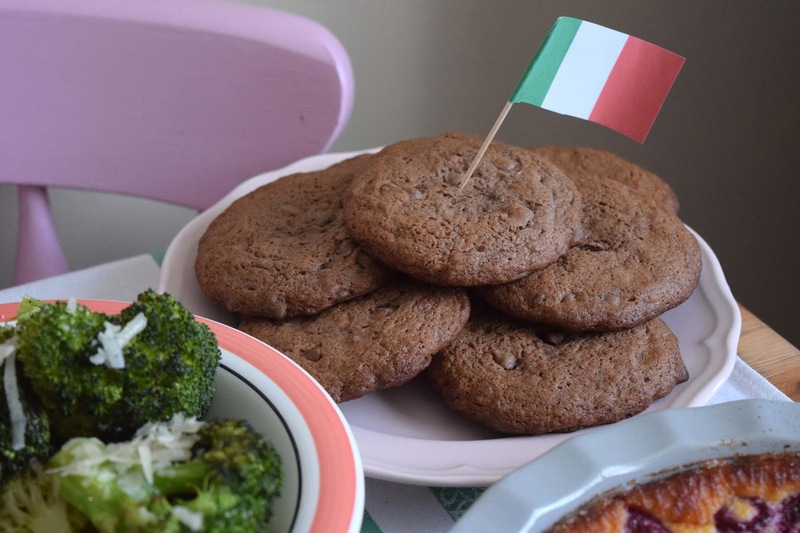 It's a nice idea to make little flags to put in each dish too. I'm terrible at remembering exactly what I made but I'll do my best! 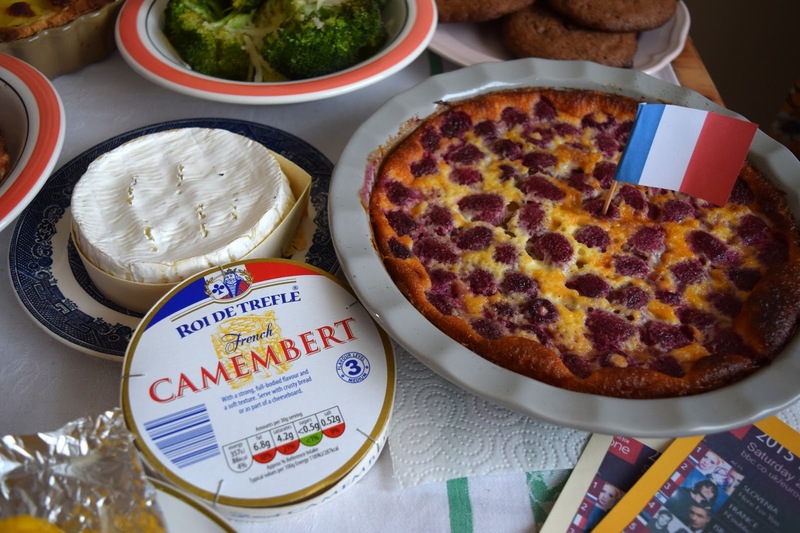 For France we had a baked Camembert with crusty bread which is a super easy one, we also had a raspberry clafoutis. 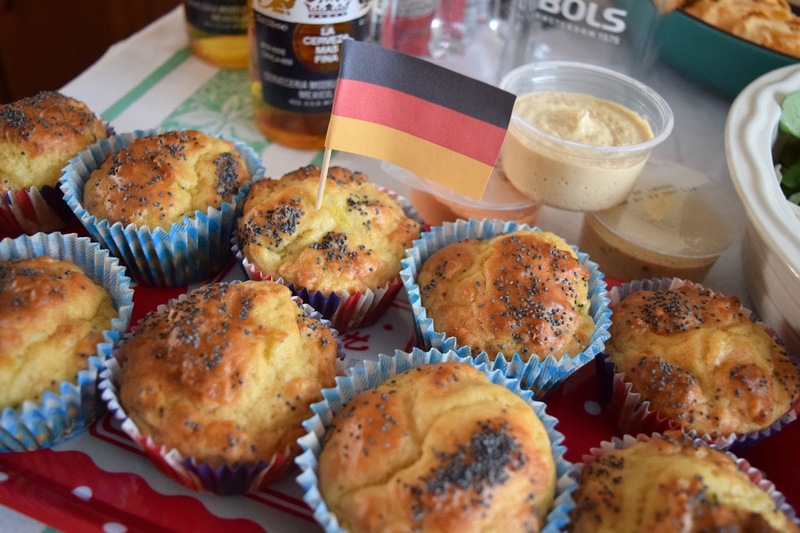 For Germany I made some German onion muffins with poppyseeds. For Greece I of course did a Greek salad! 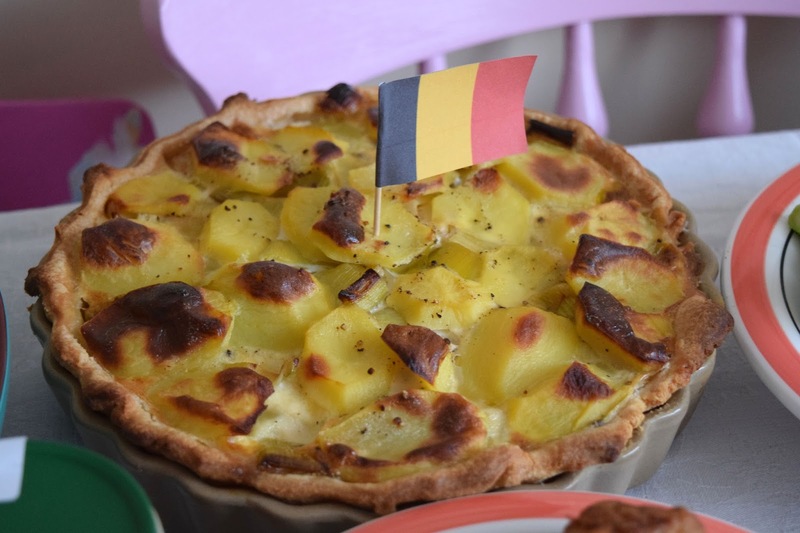 For Belgium I made some kind of potato type tart and I obviously had a bowl of Swedish meatballs! 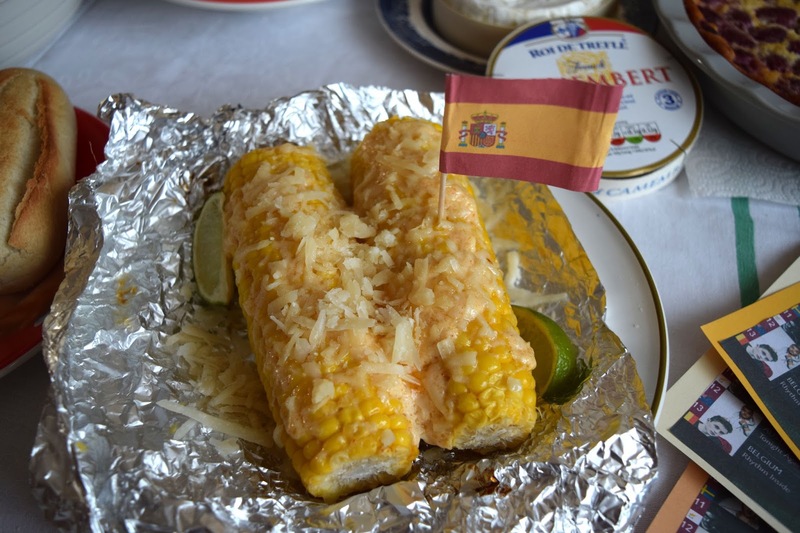 I had some Spanish style baked corn on the cob and some Italian cookies.